Every year that I watch Blizzcon from home on my virtual ticket, I wish I was at Blizzcon! Even if there are no announcements for my game, World of Warcraft, the atmosphere there is just so amazing. Opening ceremony was bittersweet as Mike Morhaime handed over the reins to J Allen Brack. At the Hearthstone announcement some sound issue made us switch to the Diablo stage, and Diablo's reveal was that they were bringing Diablo to mobile devices. I don't play Diablo but that might introduce it to new players, but I think the overall reaction was NOT positive from the Diablo fans. The cinematic was pretty cool though. Hearthstone had a new expansion to announce like they do every year - I feel like I've lost my interest in Hearthstone, but the cinematic and gameplay was cool. Overwatch had a cool backstory vid for McCree and that was cool, with a new hero to play as well from that video. Pretty cool!!! WoW Vanilla was up for us to play and everyone with a WoW subscription can play. I wonder if that was why nobody was in game Saturday night! 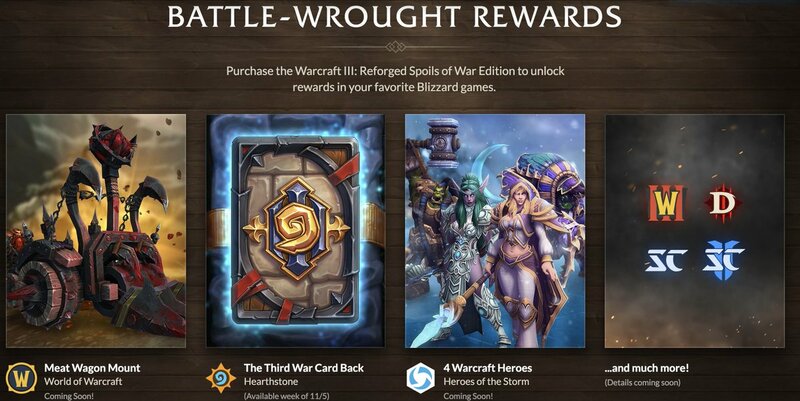 There was also Warcraft 3 reforged was revealed and of course I'll get it so I can get that cool catapult mount that kills critters! Then I had a squizz at some of the new stuff coming for World of Warcraft - significant news being that 11 December is Patch 4.1 with raid coming out sometime AFTER the holidays, which is almost 2 months of no content. Plenty of time to play some other games, I think! I can see that raiding will be shutting down for a little bit during this period so we can play other games or do other things. The rest of the things I watched was the Arena World Championships. Lots of familar names! Cdew, Boetar, Swapxy, Chanimal, Pikaboo and Jellybeans. Resto shaman was a popular team choice in teams, and I watched Method Orange dominating games; I cheered for Order who were the Australian team into the World Championships; and I watched Pen and Paper, the team from China, take them out, and then advancing forward to eliminate Skilled Capped EU in the lower bracket - which was a huge surprise! I have never seen a China team play well in World Championships - they're usually rather disappointing - but this team has been playing superbly! I'm looking forward to seeing them play tomorrow in Day 2!